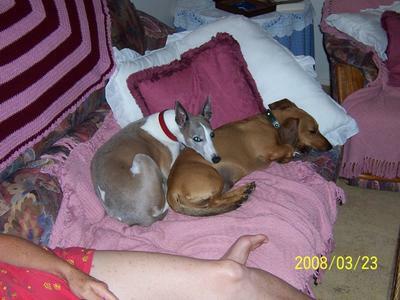 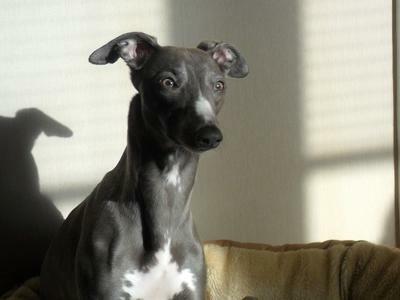 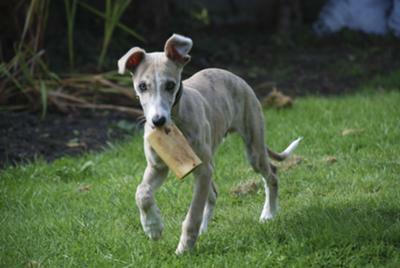 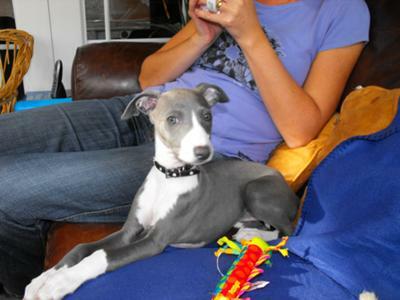 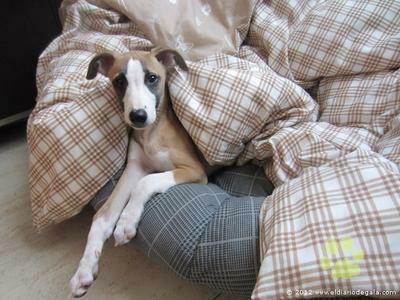 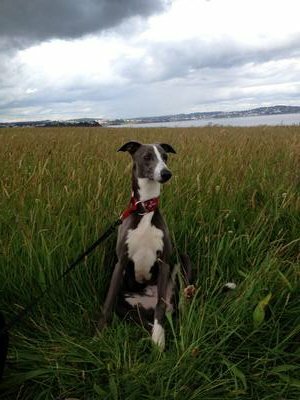 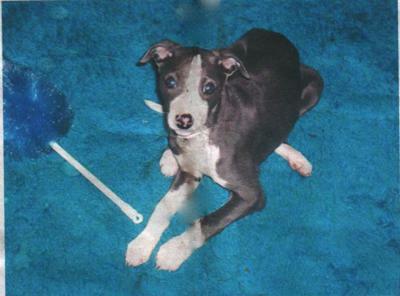 Enjoy this gallery of blue fawn and blue whippet pictures. 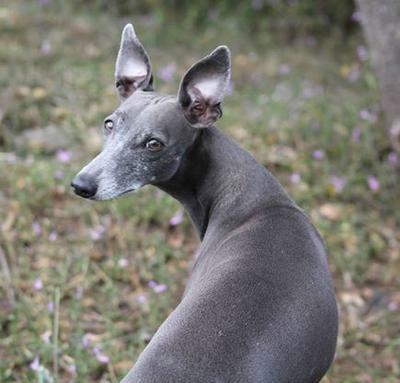 The breed standard states that the coat color is immaterial and in the breed you can actually see everything from pure black to pure white with every making, hue and shade in between. 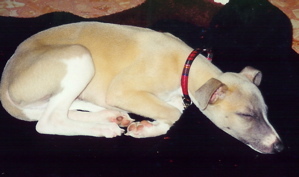 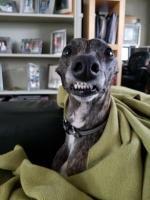 No two whippets are identical, it’s one of the many charms of this dog breed. 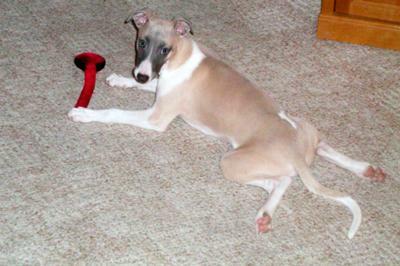 In the American standard it is noted that eye color can vary with coat color but dark eyes are to be preferred and blue eyes are to be penalized. 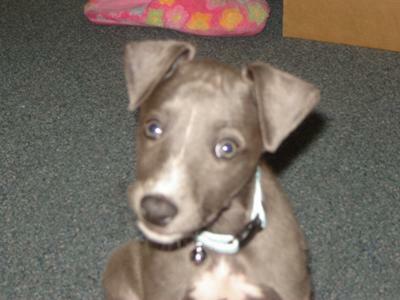 Don’t panic though if your new puppy has blue eyes, in blue puppies, light eyes will turn dark with age.